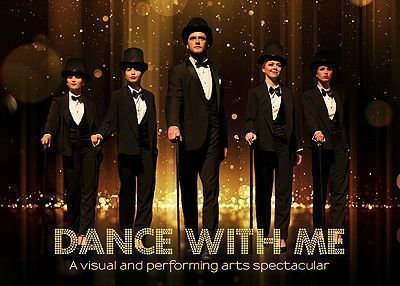 Dance with Me, a dynamic non-stop singing and dancing experience, guaranteed to WOW audiences. Prepare to be whisked off on a visual journey; an explosion of motion graphics, colorful costumes and high energy choreography. We invite our audiences to sit back and enjoy an intricate collaboration between song, dance and LED visuals, a first for Port Elizabeth audiences. Be delighted by the inner beauty of dance while we take you on a roller coaster of movement and tradition with a modern twist. Enjoy a variation of dance styles such as Contemporary, Irish, Jazz, African and Rock `n Roll, just to name a few. Featuring some best loved songs from performers such as Ed Sheeren, Meghan Trainor, Imagine Dragons, Justin Timberlake and many more with vocal performances by Port Elizabeth locals, Zanele Mphaphu, Robert Gillmer, Cailan van Heerden and Glen McIlroy. Embracing the variety of dance styles and contemporary music, pushing the boundaries of theatre productions by introducing LED screen complementing the performance on stage, makes Dance with Me a stage experience not to be missed! Premiering 9th of March 2018 at PE Opera House with multiple show dates and times.